The Revised Consent Order filed in Bladen County Superior Court by the state Department of Environmental Quality to hold Chemours Co. accountable for PFAS contamination, including GenX, in the Cape Fear region was approved Monday, Feb. 25, by Judge Douglas Sasser. “The judge approved the order in its entirety, which will mean real relief for people near the Chemours plant and in the Cape Fear River Basin. Downstream, reductions in PFAS/GenX will continue due to the order,” according to a release Monday from DEQ. All terms of the order, which go into effect Monday, will be implemented by DEQ “with the full weight of the court’s contempt power behind the agency’s work to hold Chemours accountable,” per the release. 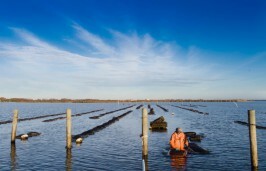 “Reliable, clean water is a right of every North Carolinian. 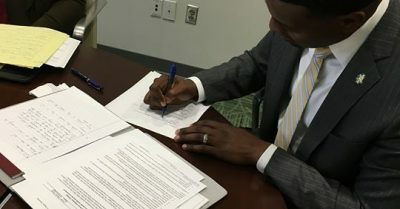 This order was designed to ensure that the Cape Fear River can be that reliable, clean source for all who depend on its water,” said Secretary Michael S. Regan in a statement. Chemours released a statement on the court approval stating that the company was pleased that the court has chosen to accept and enter the Consent Order. RALEIGH – The North Carolina Department of Environmental Quality Wednesday filed a Revised Consent Order in Bladen County Superior Court to hold Chemours Co., accountable for PFAS contamination, including GenX, in the Cape Fear region. The state called the order “a critical step to provide relief to people around the Fayetteville Works facility and to communities downstream,” referring to the Wilmington area, which takes much of its drinking water from the Cape Fear River. Monthly reports of air emissions of GenX compounds. Measure and analyze Chemours’ contribution to PFAS contamination at downstream public utilities’ raw water intakes. Submit PFAS contamination in river sediment analysis. Remove 99 percent of the contamination of the surface water and groundwater from an old outfall at the site. Provide downstream public utilities with an accelerated plan to reduce PFAS contamination in the Cape Fear River. Provide effective systems to treat drinking water fountains and sinks in public buildings. Ensure that filtration systems are operating properly and maintained for at least 20 years. In addition to the new requirements, the order requires Chemours to reduce GenX emissions by 99 percent and control air emissions of all PFAS routed to a new thermal oxidizer by at least 99.99 percent. Among the requirements, Chemours must also provide permanent drinking water supplies or connections for those with drinking water wells with GenX above 140 parts per trillion and provide under-sink reverse osmosis systems for well owners with combined concentrations of certain PFAS above 70 parts per trillion or concentrations of certain individual PFAS above 10 parts per trillion. The company must sample drinking water wells at least a quarter mile beyond the closest well that had concentrations of certain PFAS above 10 parts per trillion and annually retest wells to determine the extent of contamination. Chemours must also submit and implement a plan for sampling all wastewater and stormwater and notify downstream public water utilities when an event at the facility has the potential to cause a discharge of GenX compounds into the Cape Fear River above 140 parts per trillion. The order will be implemented under the supervision of DEQ, Bladen County Superior Court, and, for certain portions, Cape Fear River Watch, the department said. Regan on behalf of DEQ, Chemours, Cape Fear River Keeper and their counsel, the Southern Environmental Law Center, signed the order, which does not prevent other parties from taking action against Chemours but allows for possible further action by DEQ if new information is gleaned. 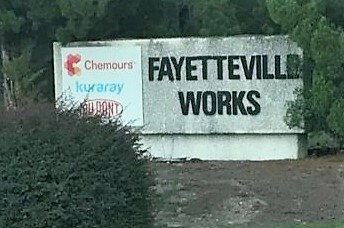 Chemours responded Wednesday, saying the proposed consent order complements the company’s May 2018 promise to decrease GenX and other PFAS emissions at its Fayetteville Works plant by 99 percent or greater by the end of this year. Chemours spokeswoman Lisa Randall said the company has abided by the emissions control measures of the proposed consent order throughout the public comment period and as DEQ has been considering the comments. “In those three months, we have completed the installation of a carbon adsorption system to reduce air emissions of GenX compounds and other PFAS from the Vinyl Ether North unit at the Fayetteville Works site,” Randall said in a statement. The installation was required by the end of December 2018 and the company beat the deadline and efficiency requirement. “DEQ’s decision to sign and seek court approval of the proposed Consent Order is a positive step for all stakeholders. It provides the framework for implementing specialized state-of-the-art emission control technology that will make the Fayetteville plant a best-in-class chemical manufacturing facility for air and wastewater emission control. It also provides for implementation of robust remediation programs and the provision of alternative drinking water supplies for a large number of homeowners with private wells, most of whom have existing water supplies that do not exceed any health based advisory. “We are pleased that the Cape Fear River Watch, represented by the Southern Environmental Law Center, remains a party to this agreement and we are looking forward to working with them and DEQ collaboratively throughout the implementation of the Consent Order, when approved,” Randall said. Changes and clarifications in the latest filing that require new or enhanced commitments by Chemours based on the public comments reflect progress already achieved, Randall said. NC Policy Watch reported the EPA issued to Chemours Thursday notice of violation of the Toxic Substances Control Act for failing to provide required documents and information related to the company’s handling of GenX and other compounds. Documents related to the violations first published by Policy Watch, many heavily redacted to protect business information, shows Chemours did not provide as EPA requested information on its chemical import activities. A shipping manifest shows a Chemours’ plant in the Netherlands exports GenX to the North Carolina Port of Wilmington before being transported to Fayetteville.